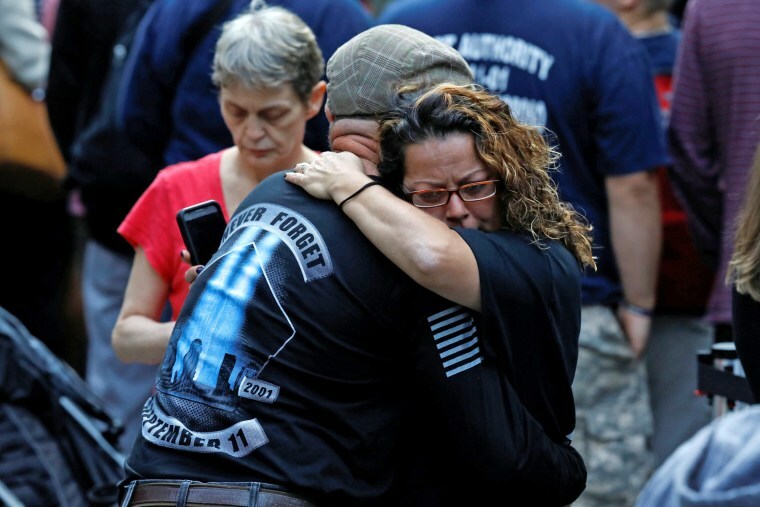 NEW YORK — Holding photos and reading names of loved ones lost 16 years ago, 9/11 victims' relatives marked the anniversary of the attacks at ground zero on Monday with a solemn and personal ceremony. Yet each ceremony also takes on personal touches. Some name-readers added messages ranging from the universal to the personal — updates on family graduations and marriages, memories of personality traits and favorite foods.